Congratulations to David Kaye on his inclusion in the Benztown 50. The 5th Annual Benztown 50 is a list of the top 50 voice-over talent in radio station imaging in the US & Canada. Read more about the Benztown 50 here. On March 9th’s Saturday Night Live with Idris Elba, David does the voice over work in a skit called “The Impossible Hulk.” Listen for David around 1:05. David is the voice for the Blake Shelton Friends and Heroes 2019 tour. David delivered the teaser for the Atlanta stop of the NASCAR Xfinity Series. David Kaye does the voice over work on the new “The Secret Life of Pets 2” trailer. David Kaye is a featured guest this year at TFcon Los Angeles 2019. Transformers fans will recognize him as the voice of Megatron in Beast Wars, Beast Machines, Armada, Energon and Cybertron, as well as Optimus Prime in Transformers Animated. David will be taking part in a Q&A panel and autograph sessions with the attendees of America’s largest Transformers Convention all weekend long. David narrates the All Access presentation of the 2019 NHL All-Star Weekend. Go behind the scenes of 2019 Honda NHL All-Star Weekend with host and San Jose Sharks captain Joe Pavelski and featuring exclusive access and mic’d up content with your favorite NHL All-Stars. Here I discuss the origins of my Megatron interpretation with Rob Paulsen on Talkin’ Toons podcast. An incredible honor to guest on Rob Paulsen’s Talkin’ Toons podcast. He’s a legend! We have a terrific conversation. So much fun! Visit http://projectalpha.com for a trial subscription to watch the episode. Great people at WCPO-TV in Cincinnati. The “9 On Your Side” team. This clip is a recent promo. Terrific station to work for. Here’s my “Behind the Mic” feature for Thursday Night Football with the Denver Broncos and the Arizona Cardinals. You can see how the segment came together. Great opening segment last Thursday night on Fox with the Denver Broncos and the Arizona Cardinals. Thanks to Fox Sports for the opportunity. I love doing the sports segments. 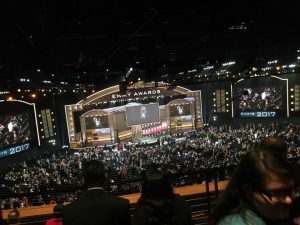 David Kaye and his wife Maria attended The 70th Primetime Emmy Awards, honoring the best in U.S. prime time television programming. The ceremony was held September 17 at the Microsoft Theater in Downtown Los Angeles, California. David attended as part of the Last Week Tonight with John Oliver staff. The show won its 3rd consecutive Variety Talk Series Emmy. The Hollywood movie premiere of Teen Titans Go! to the Movies was Sunday, July 23rd. David Kaye plays the announcer in the movie. Below is a video of David getting ready to attend the premiere. David Kaye had a great time at TFCON 2018. He greeted fans, signed autographs and sold “YES” buttons throughout the day. David Kaye voices the character of Grandpa Max in the award winning series Ben 10 on Cartoon Network. Ben 10 is the Cartoon Network’s longest running franchise to date. TFCON 2018 starts this week – July 13th to July 15th in Mississauga, Ontario. David Kaye is a special guest at the largest fan-run Transformers convention. David has been the voice of Megatron in Beast Wars, Beast Machines, Armada, Energon and Cybertron, as well as Optimus Prime in Transformers Animated. David Kaye recently played the character of Duckworth on the Disney Channel’s animated show DuckTales. Click below to view a segment of the cartoon. 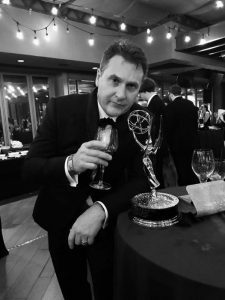 David Kaye is a special guest at TFCON 2018 – the largest fan-run Transformers convention. The convention will be held July 13th – July 15th in Mississauga, Ontario. Transformer fans will recognize David as the voice of Megatron in Beast Wars, Beast Machines, Armada, Energon and Cybertron, as well as Optimus Prime in Transformers Animated. David Kaye narrates a beautiful promotional segment for the 100th Memorial Cup – Junior Hockey’s most prestigious tournament. David Kaye narrates the new Teen Titans Go to the Movies trailer. He also has a guest appearances in the movie. Teen Titans Go to the Movies is in theaters July 27. 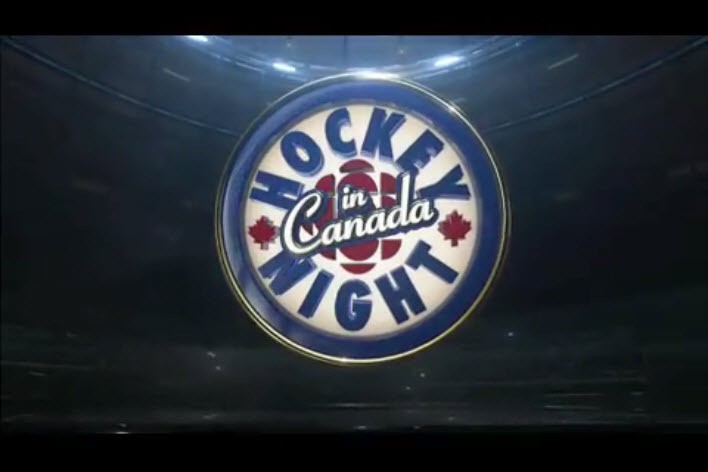 David Kaye narrates a terrific piece for Hockey Night In Canada. It was an introduction for Game 4 of the 2018 Stanley Cup Playoffs between the Pittsburgh Penguins versus the Philadelphia Flyers. Ron Maclean gives David a great compliment at the end of the piece. Nice work David! Here’s a video on Instagram of David Kaye promoting his new Yes button. This weekend David Kaye is at the Great Lakes ComicCon in Warren, Michigan. David is greeting fans, signing autographys and selling his new Megatron Yes buttons. David Kaye will be the special guest at TFcon Toronto 2018. Transformers fans know David as the voice of Megatron in Beast Wars, Beast Machines, Armada, Energon and Cybertron, as well as Optimus Prime in Transformers Animated. David will be taking part in Q&A panels and autograph sessions with the attendees of the world’s largest fan-run Transformers convention all weekend long. David Kaye narrates a promotion for the new movie “Early Man” arriving in theaters on February 16th, 2018. David Kaye has fun taping a promo for the CBS hit show Kevin Can Wait starring Kevin James. Kevin Can Wait airs Monday’s at 8:00 on CBS. This Sunday, October 22nd, Fox will air a mockumentary titled Springfield of Dreams: The Legend of Homer Simpson. The special is about the 25th anniversary of the iconic “Homer at the Bat” episode, The episode was honored by the Baseball Hall of Fame. David Kaye is the narrator for the episode. David Kaye voices the opening segment for Fox Sport and its NFL coverage for Week Two of the 2017 NFL season. 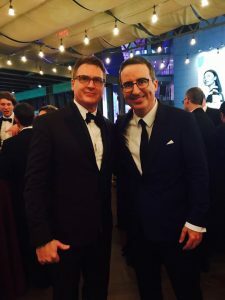 David Kaye attended the 2017 Emmy Awards as part of the team from Last Week Tonight with John Oliver. David has done the voice work for the show since its inception. David is well known for his “How Is This Still a Thing” segment on the show. Last Week Tonight With John Oliver won the 2017 Emmy Award for Outstanding Variety Talk Series and Outstanding Writing for a Variety Series. 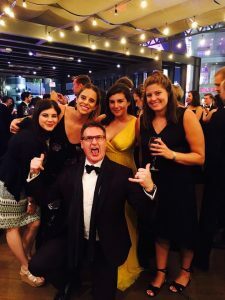 David had a great time at the Emmys. David Kaye plays the character of Jedah in the new game Marvel vs. Capcom. It’s is a series of crossover fighting games developed and published by Capcom, featuring characters from their own video game franchises and comic book series published by Marvel Comics. The game is available September 19, 2017. David Kaye narrates the new radio promo for NBC for the new Season of The Voice. Listen to the promo below. David Kaye narrates the trailer for the release of The Elder Scrolls Online: Morrowind. The Elder Scrolls Online is a multiplayer online role-playing video game originally released in 2014. David Kaye narrates a promotion for FS1 for the 2017 US Women’s Open. The Open kicked off July 13th and the final day is July 16th. This is the 72nd championship. The US Women’s Open was established in 1946. David Kaye is narrating specials for the Golf Channel. The first special is the Summer of 76 premiering on July 18th at 9 p.m. ET. It’s a look back at golf in 1976. The clothing outfits alone make it a special worth watching! View the trailer below. Coco is a soon-to-be-released animated film produced by Pixar Animation Studios and released by Walt Disney Pictures. David Kaye narrates the official US trailer. The movie will be released nationally in the U.S. on November 22, 2017. Visit the Coco Official Site. The animated Marvel’s Avengers: Secret Wars debuts a fourth season with a one-hour premiere on Saturday, June 17 on Disney XD. David Kaye plays the character Vision. Here’s a clip of Vision in action. Teen Titans Go! is an animated series based on the DC Comics superhero team, the Teen Titans. The series features our good friend Tara Strong as Raven. In this clip, Uncle Death sings the song Last Breath to Raven. Enjoy! Listen to the Metallica Winner Promo below. You can watch all new episodes of Ben 10 everyday at 5:00 on the Cartoon Network. Ten-year-old Ben Tennyson fights evil using the Omnitrix device to transform into 10 different alien heroes. Sidekicks Grandpa max and cousin Gwen join in the fun. 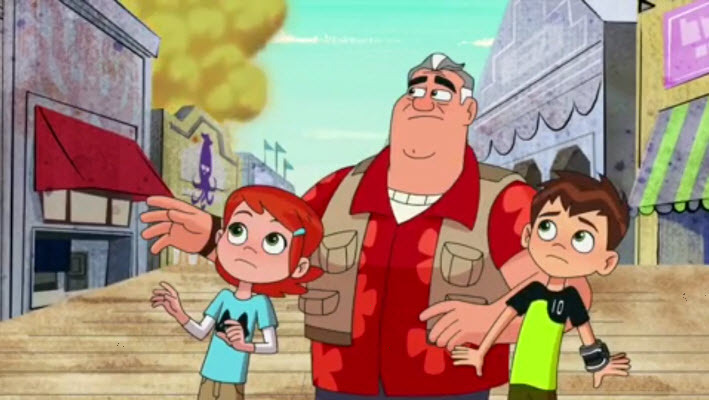 Here’s a new Ben 10 promo featuring David Kaye as Grandfather Max. Cartoon Network studios premieres the rebooted series Ben 10 on Monday, April 11th. Ben 10 is an animated action-adventure series featuring 10-year-old Ben Tennyson voiced by Tara Strong. Ben discovers the Omnitrix, an alien wristwatch with the power to transform Ben into different alien species. David Kaye plays Grandfather Max. 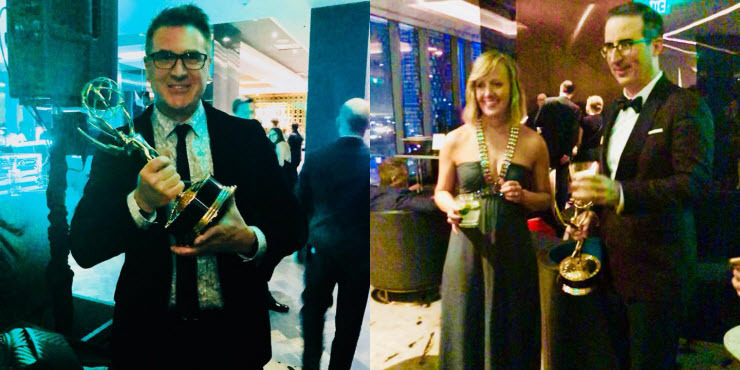 LG 104.3 – The Best of the 60’s, 70’s and 80’s in Vancouver, British Columbia won a RAP award for The Legends We Lost Weekend. David Kaye is the voice announcer for the winning station. Listen to the clip below. Deadline Hollywood reposted its Most Valuable Blockbuster Tournament of 2016 and The Secret Life of Pets was far and away the most profitable film. The movies grossed $875 million worldwide and netted $374 million. It’s no wonder there’s a sequel in the works. We here a DavidKaye.com are confident the high gross revenue was the result of David Kaye voicing all of the trailers for the movie! Brett “Hitman” Hart has been in the news in the past few months for beating prostate cancer. David Kaye narrated WWE Greatest Rivals: Bret Hart & Shawn Michaels – a fascinating interview with WWE superstars Bret Hart and Shawn Michaels. For more than a decade, Bret Hitman Hart and Shawn Michaels were the fiercest of rivals in professional wrestling. David’s narrated segments are interspersed in the interview with the two wrestling giants. Hear David’s first narrated segment here.